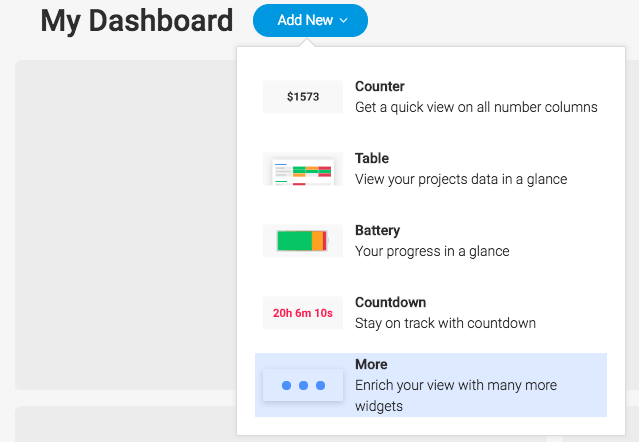 The Time Tracking Widget – Hey. Ask us anything! Need to see how much time each team member spent on tasks across your boards? The Time Tracking widget shows total time spent on pulses across multiple boards—both on an individual level (for the people assigned) and for the entire team! Great for resource management, making sure there’s a fair spread of work across the team and for easy reports for billable hours. From the drop down list, click "more" and then choose the "board updates" from the Dashboards Center. You can get a visual alert if the total time spent for each team member goes over a specific threshold. For instance, you can choose to see the values in red if the time spent for a team member is over 10 hours. You can now see the total time spent by each team member across multiple boards, as well as the total time spent by your entire team!